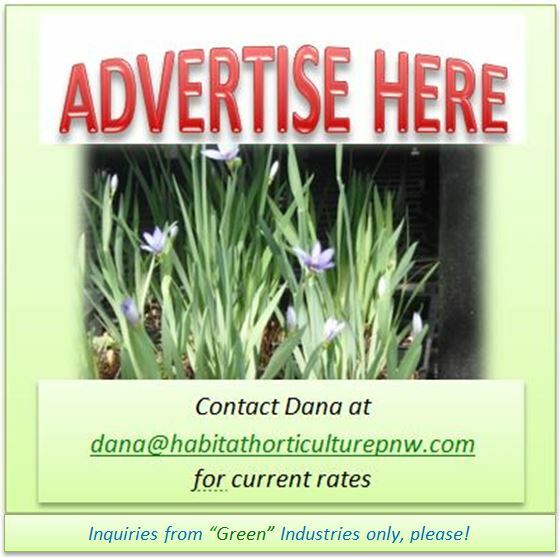 The Pacific Northwest is ideal for growing many kinds of edible berries. 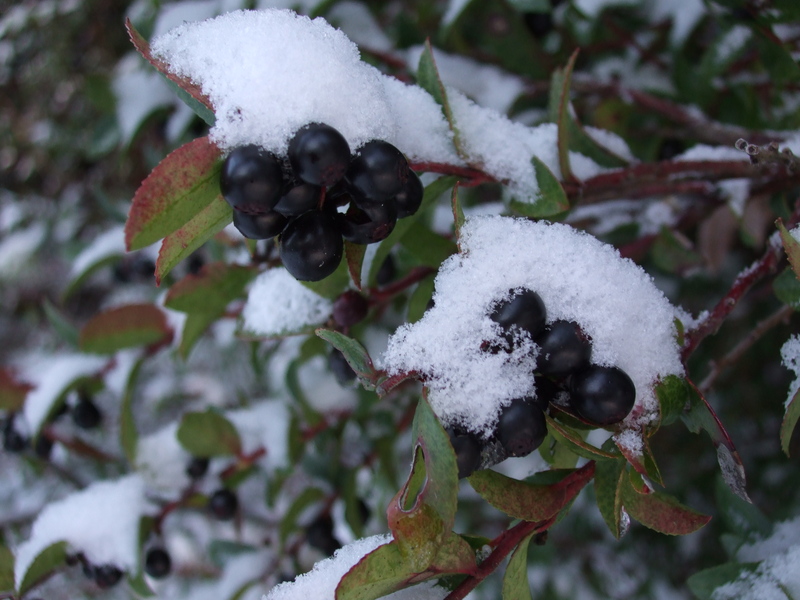 There are many native species that produce delicious berries that people go out of their way to collect. Many people have favorite berry patches that they return to year after year to harvest nature’s bounty. By planting these species in your landscape, you can have quick access to these flavorful treats! 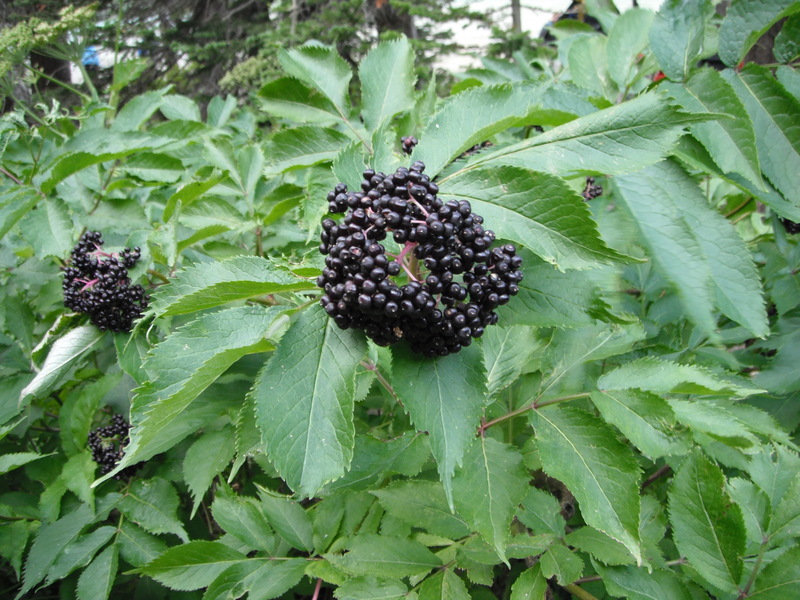 Native peoples ate berries fresh and dried (like raisins), cooked, mashed and dried into cakes, or they preserved them in fats such as oolichan grease made from a small, smelt-like fish— their olive oil! Today we may eat them fresh, in desserts, baked into muffins or pies, or made into jams, syrups or wines. 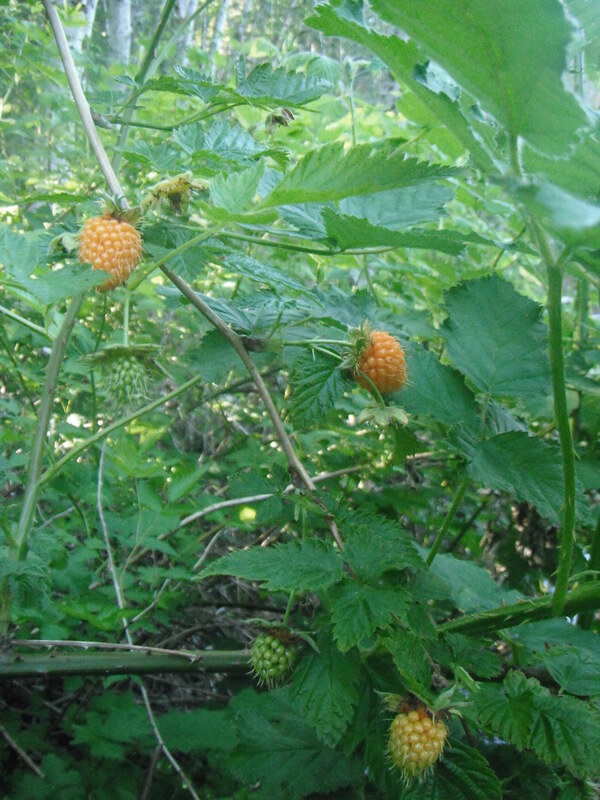 Salmonberry, Rubus spectabilis, is one of the earliest berries to ripen; some patches have tastier berries so keep sampling! Blackcap Raspberries, R. leucodermis, are good in jellies and syrups. Thimbleberrries, R. parviflorus, are seedy, but can be eaten fresh or dried. Dewberry or Trailing Blackberry, R. ursinus, is our only native blackberry, its small, sweet berries are refreshing in late summer. Oval-leaved Blueberries, Vaccinium ovalifolium, are highly regarded; they fruit early in July after Salmonberry. Black Huckleberry, V. membranaceum, is one of the most delicious, found mid-summer to fall at middle to high elevations. 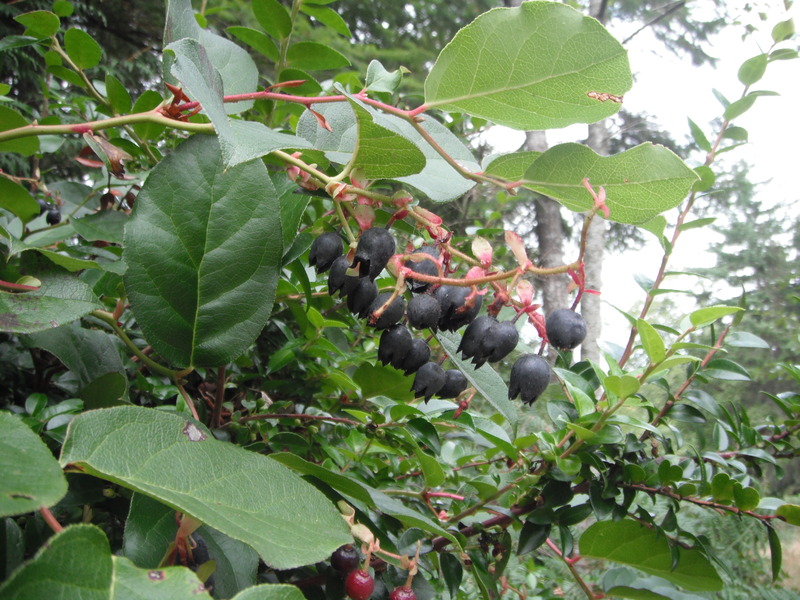 Cascade Huckleberry, V. deliciosum, also found in subalpine meadows, is worthy of its species name. Dwarf Blueberry, V. caespitosum, found in low elevation bogs and subalpine wet meadows is said to be the “most preferred” blueberry. Red Huckleberry, V. parvifolium, is a favorite, on-the-trail, snack for hikers. Lingonberries, V. vitis-idea, are well-liked by natives of Alaska and BC as well as Scandinavia. Small Cranberries, V. oxycoccus, are found in bogs along the coast. Evergreen Huckleberries, V. ovatum, although usually small and black, some are bigger, like blueberries; they are said to taste sweeter after the first frost. All are good baked in muffins or they can be collected along the trail for a great addition to your morning pancakes when you are backpacking! 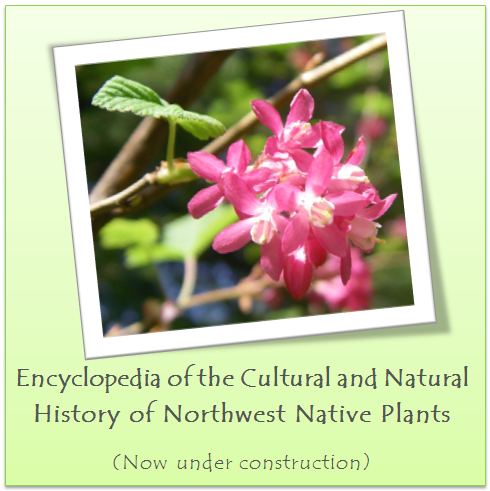 Along with Evergreen Huckleberry, Salal, Gaultheria shallon, is one of our most plentiful natives. It is very sweet, but its texture is rather mealy. It is good mixed with other, tarter berries in jellies or preserves. Saskatoon Serviceberries, Amelanchier alnifolia, are sweet, eaten fresh, used in baking or made into jams or jellies. Tall Oregon Grape, Mahonia aquifolium, and Low Oregon Grape, M. nervosa, have tart berries. They can be mixed with other sweeter berries and be made into jelly or wine. All of our strawberries produce edible berries, albeit smaller (but often more flavorful) than commercial strawberries. Coastal or Beach Strawberry, Fragaria chiloensis, is used in hybridizing and is a parent of many cultivated varieties. Many prefer Wild Strawberry, F. virginiana. Wood Strawberries, F. vesca, are somewhat dry, but are good added to rhubarb pies! Currants native to the east side of the Cascades such as Golden Currant, R. aureum, and Squaw (or Wax) Currant, R. cereum, are good-eating. Black Swamp Gooseberry, R. lacustre , Wild Black Gooseberry, R. divaricatum, and Stink Currant, R. bracteosum, are also edible. 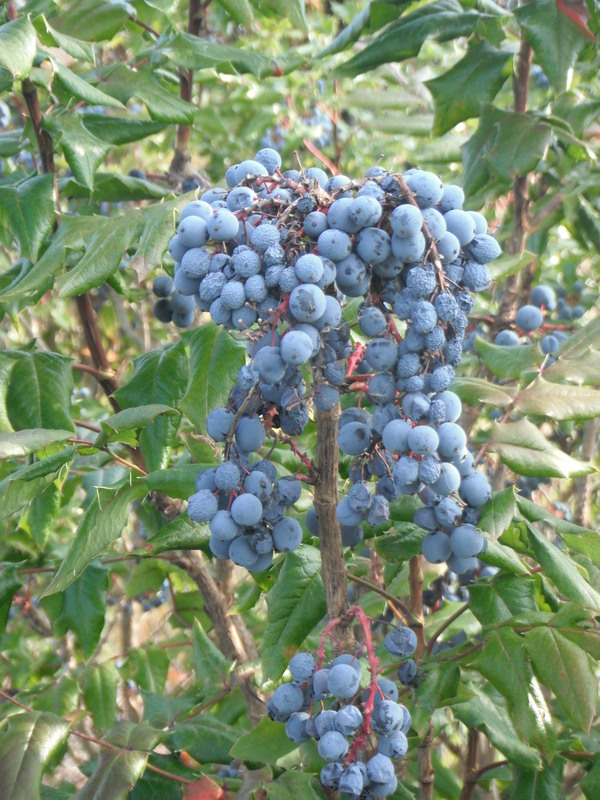 Blue Elderberries, S. caerulea, are used to make a tangy jelly or wine. Because raw berries cause nausea, the berries should always be cooked. Pacific Crabapple, Malus fusca, and Highbush Cranberry, Viburnum edule, were both harvested by natives in fall and stored in boxes with water and oil, the tart fruits became sweeter over time. Highbush cranberries can be blended with other cranberries to make sauces and preserves. Soapberries, Shepherdia canadensis, although bitter, can be mixed with water, whipped to a froth, and then sweetened with salal berries. Always be careful when eating wild berries. Make sure they are identified correctly before you enjoy the eating any of these flavorful fruits!